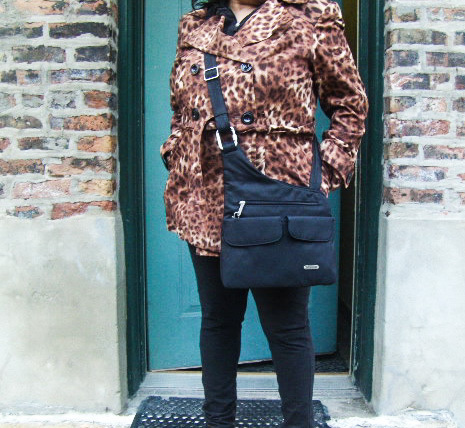 Me, sporting my Travelon Crossbody bag. It is probably safe to say that I worry about safety. In fact, it may be safer to say that I can be down right, paranoid — about safety that is. Maybe it was ingrained in me when I was kid who was perpetually in unfamiliar surroundings because we travelled so often. Maybe it has to do with the fact that I was mugged once. Not the, “hey, that guy stole my wallet” kind of mugged, but the gruesome, bloody, requiring stiches kind of mugged. While I fully understand that awful things happen all the time, all over the world, I don’t believe that we should let our fears get in the way of experiencing life and traveling (especially now). 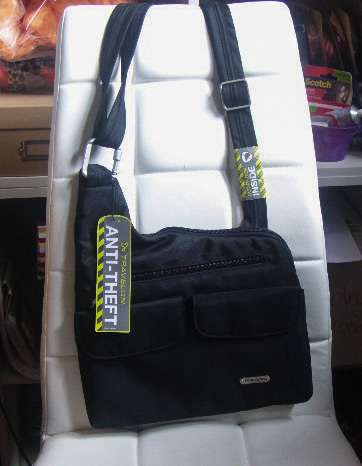 So to assuage my worries, I recently purchased a Travelon Anti-Theft Crossbody Bag. I really love this bag, even when I’m not traveling. In Chicago, where I currently live, activities and events like the Taste of Chicago, the 4th of July Fireworks (which takes place on the 3rd), and the various music festivals like Lallapalooza, Blues Fest, and Reggae Fest draw millions of revelers. 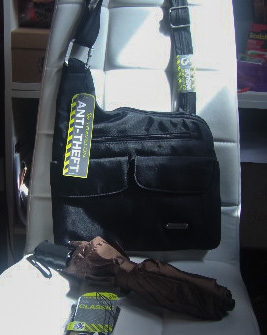 Being in close proximity with any number of sketchy types, I like thinking of my wallet resting snug as a bug in my anti-theft bag while I enjoy the festivities. My Travelon bag came with a free umbrella, Sweet! There is even an awesome carabineer feature (not the quick release kind) where you can unhook the strap and weave it around your chair at a restaurant or the post on your hostel bunk-bed for peace of mind. I’m so happy with this bag that I am thinking about investing in a backpack. I am currently on the prowl for the right bag at the right price. 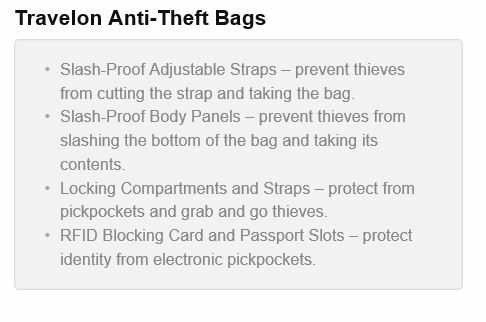 Do you have an anti-theft bag to recommend? Please share your comments.